Beautiful Sea glass Beads in shade of Sea Blue and Seafoam mint Green! 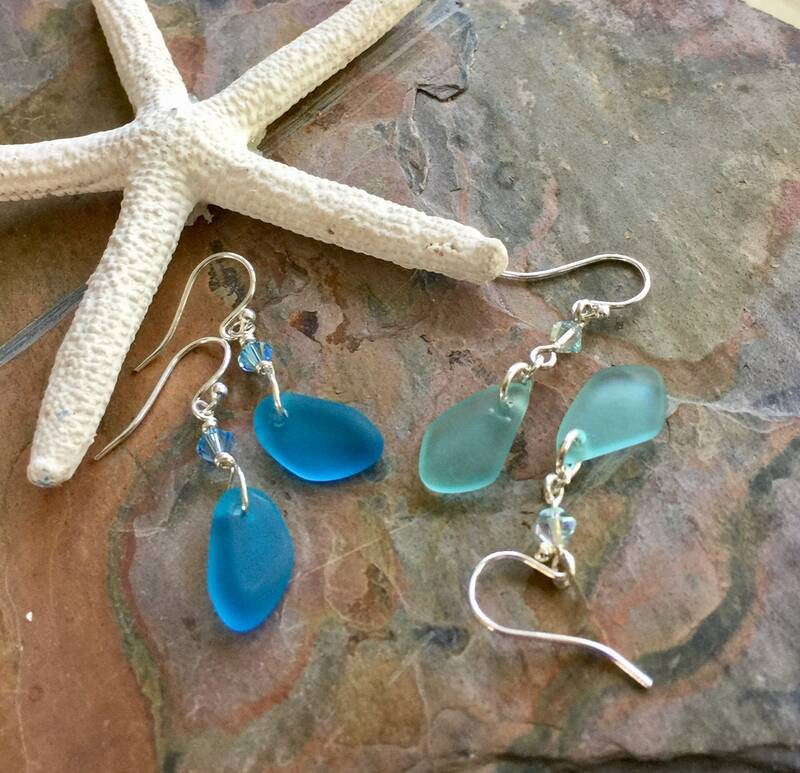 These beautiful recycled /cultured Sea glass in jewelry. The same soft finish as found in natural sea glass. 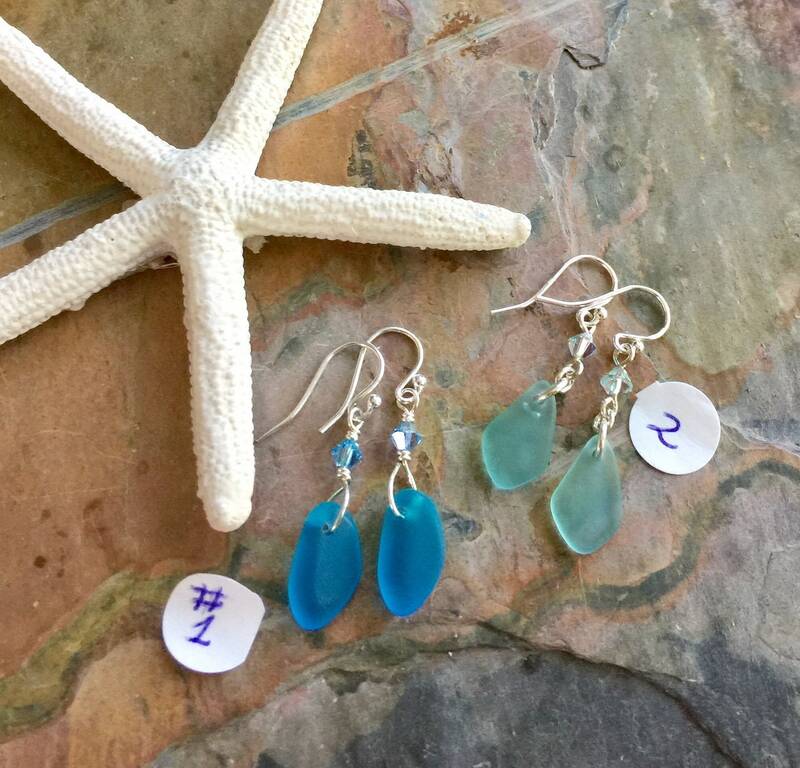 These fun, colorful earrings are made with .925 sterling silver wires on recycled unique,free form sea glass beads measures approximately 15 x 10 mm. They are dangling down from the Swarovski crystals. They dangle nicely slightly over 1.25 inch from the bottom of the .925 sterling silver french earwires. 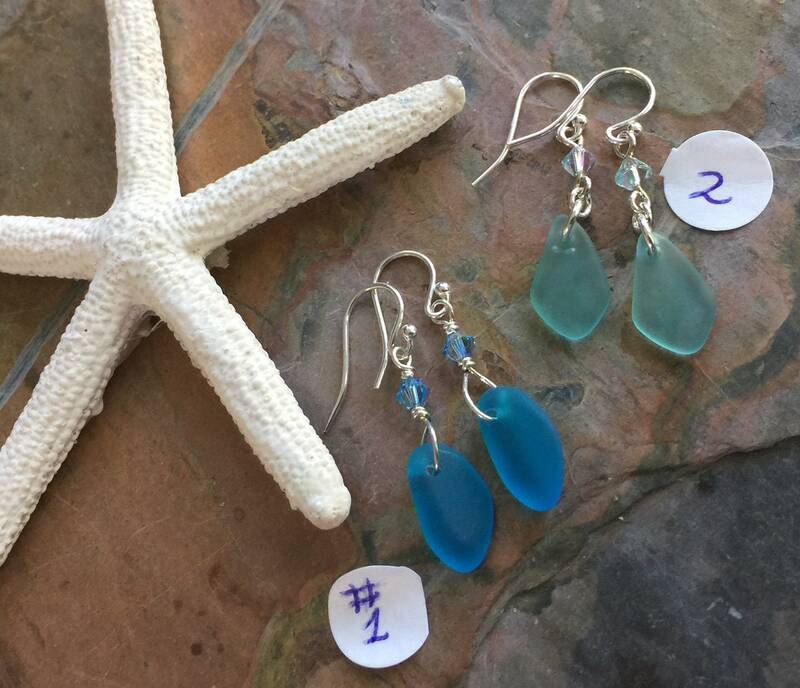 ***Choose the earrings with your choice of color.